Purpose made medium flake shaving. This product has been carefully selected by William Fox-Pitt and his team. This shaving offers maximum dust extraction for improved respiratory health. • Highly absorbent – Far less bedding used and considerably less wastage. • Healthy and hygienic – Good for your horse, with dust extraction providing a healthy stable environment. • 100% Natural – Flax is an organically cultivated natural material. Very easy to use – Quick to muck out and a much smaller muck heap. • Biodegradable – Breaks down very quickly to produce excellent compost – so no removal costs. 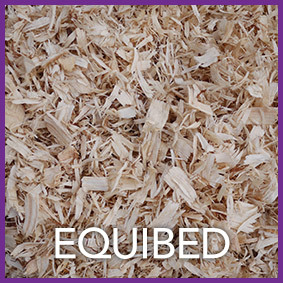 Equibed shavings are manufactured at a new, high technology plant in the South of England. These shavings are purpose-made, dust-free and are of an optimum size of flake to give maximum absorbency, coupled to a superb structure for the horse’s bed. 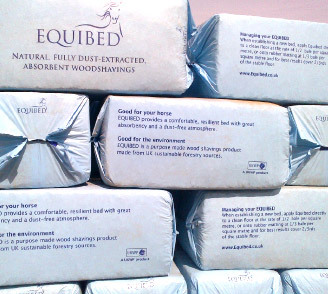 Equibed has been extensively tested and used by William Fox-Pitt Eventing, sufficiently for his whole yard to go over to Equibed and with his recommendation for other shavings users to try Equibed.